The ghost pepper’s hotter cousin. With a venomous bite even more intense than its cousin the ghost pepper, the Naga Morich (also known as the serpent chili and the Dorset Naga*) sits in rarefied air on the pepper scale. 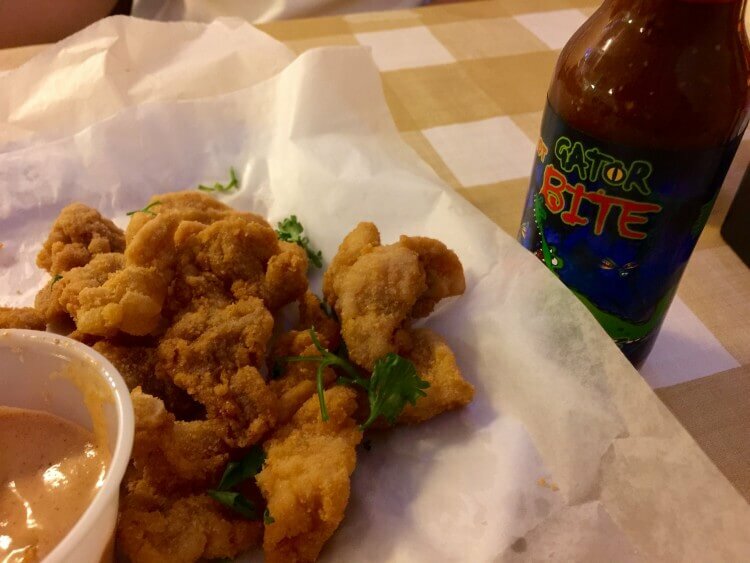 Calling it “fiery” would simply be an understatement as only a handful of chilies surpass it. Like with other super-hot peppers, don’t handle these chilies raw without taking safety precautions, and if you dare to eat it, be ready for the pain! How hot is the Naga Morich? Hailing from the same region of the world, the Naga Morich and the ghost pepper (Bhut Jolokia) are close cousins and very similar in overall heat. But the Naga Morich beats it out. With a range from 1,000,000 to 1,500,000 Scoville heat units, only the hottest ghost peppers can compare to the mildest Naga Morich. 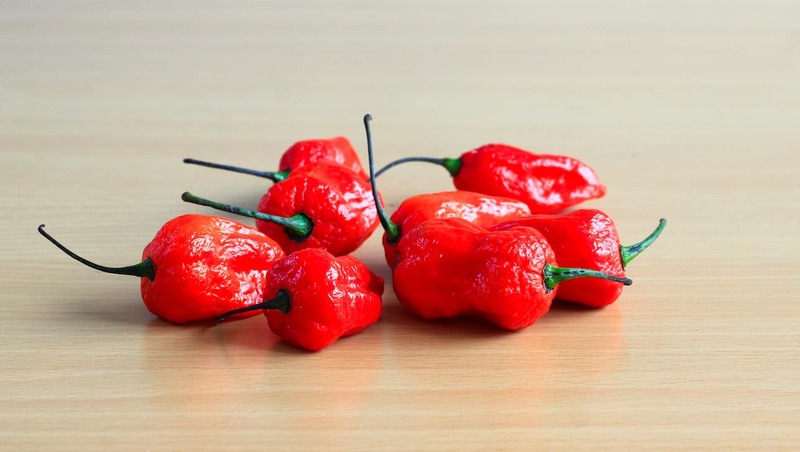 Really the Naga Morich is more in line with the heat of the Infinity pepper (1,067,286 to 1,250,000 SHU) and the Trinidad Moruga Scorpion (1,200,000 to 2,000,000 SHU). Of course, for most, this is splitting hairs. All peppers are intensely hot at the upper reaches of the Scoville scale. Let’s compare it instead to a chili most know – the jalapeño pepper. Compared to this popular medium heat chili, the Naga Morich is at least 125 hotter, with the potential for a throat-scorching 600 times hotter if you compare the mildest possible jalapeño to the hottest possible Naga Morich. Few peppers are hotter, only the likes of the Scorpion pepper and the soul-eating Carolina Reaper. These super-hots are all chilies that need full safety precautions when preparing. Use gloves, kitchen goggles, and even consider covering your arms. A simple brush against skin can lead to severe chili burn and a lot of uncomfortableness for hours. What does the Naga Morich taste like? Is there a flavor beyond the heat? There certainly is, like most super-hots. It’s why, beyond crazy pepper eating challenges, these chilies have adventurous eaters so enticed. 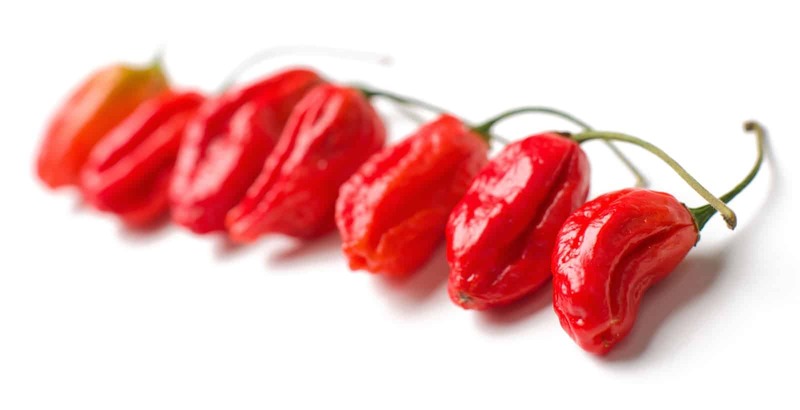 The Naga Morich, like the ghost pepper – is a slower burn. It takes 30 seconds for your body to start feeling the true heat. Until then, the pepper’s flavor is front and center. It’s sweet, like the ghost pepper, but slightly more fruity (almost floral) and a little less earthy. It makes one mean hot sauce or barbecue marinade, tastily fruity to start and wickedly demonic for minutes after. What does the Naga Morich look like? It looks a lot like a ghost pepper. They are a bit more pocked than a Bhut Jolokia and there are subtle ribs along the skin, but otherwise they are very close in appearance. They grow to around two inches in length, with a slim profile that thins to a point. They age from green to yellow and finally red. *Are Naga Morich and Dorset Naga the same thing? This is a question that has caused arguments among chiliheads. Technically, they are, but the Dorset Naga is more like an evolution of the original. The Dorset Naga was created in Dorset, England by Joy and Michael Michaud through carefully selecting only the seeds from the best overall Naga Morich plants. It’s not a hybrid chili – it’s more of a super Naga Morich, grown from the best of the best of the crop. So a Dorset Naga is a Naga Morich. But there’s enough name recognition of the Dorset Naga around the world that it’s hard to argue that it’s not its own variety, if only due to its singular popularity. How can you use these chilies? Like other super-hots, a single Naga Morich can flavor multiple pots of food. Of course most people aren’t cooking for an army, so a small slice of this chili can be enough to breathe fire into a typical soup or stew. Like the ghost pepper, the Naga Morich plays very well in marinades and hot sauces, where the slow heat allows for the unique fruity and earthy flavor of the chili to come to life prior to the intensity. You can also grind dried Naga Morich into an extreme chili powder. Just use a pinch for a pot. It’s enough. In Bangladesh and India, it’s not uncommon to find Naga Morich eaten raw as a side dish. Though that’s done typically while the pepper is in its milder young green form. Still, that’s one extremely hot side dish of peppers. Where can you buy Naga Morich? It’s not nearly as common to find in North America as the ghost pepper, both in pod form, commercial hot sauces, and chili powders. The ghost pepper, with its slightly less intense experience and rock star perception, is the go-to for most hot sauce makers when dealing with super-hots at this level. Still, if you’re looking, your best option is urban areas with high Bangladeshi or Indian populations. You can also find Naga Morich seeds and dried chilies online, as well as Dorset Naga. Be prepared, though. For all their flavor, these are blistering chilies. Fully understand the heights you’re reaching to on the pepper scale, and if in doubt, opt for something outside of the super-hots. For those not used to super-hots, a habanero or scotch bonnet (both still very hot) will provide a similar enough flavor profile without the blistering heat.